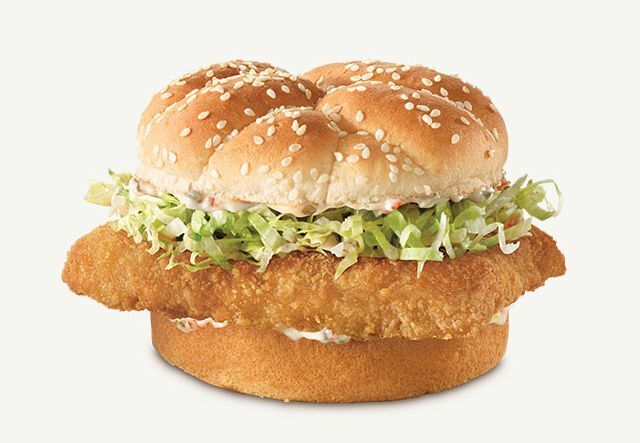 Having already put out a Cajun Deep Fried Turkey Sandwich last year, Arby's is again looking at doing a Cajun Fish Sandwich, which is testing in Evansville, Indiana as well as Louisville, Kentucky. 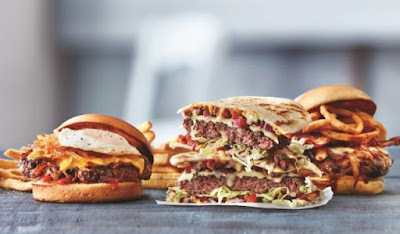 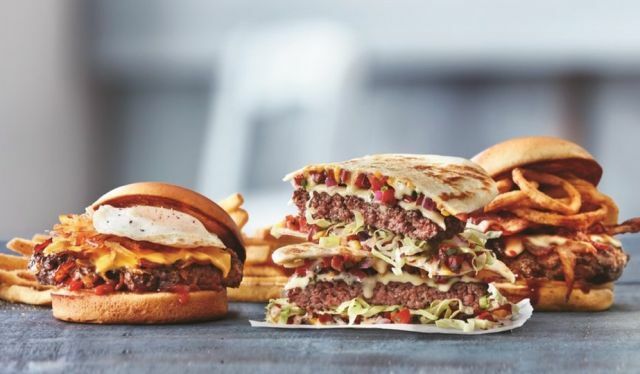 For a limited time, Applebee's is running a deal where you can get any Handcrafted Burger with a side of fries for $7.99 at participating restaurants. 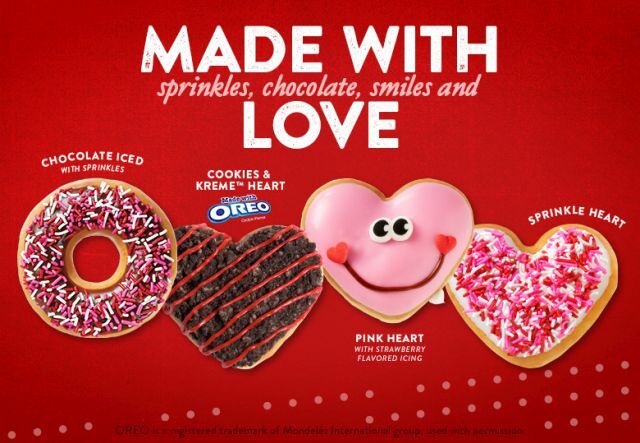 Krispy Kreme is giving out a free Valentine's Day donut to members of their free loyalty program on Wednesday, January 31, 2018 at participating locations. 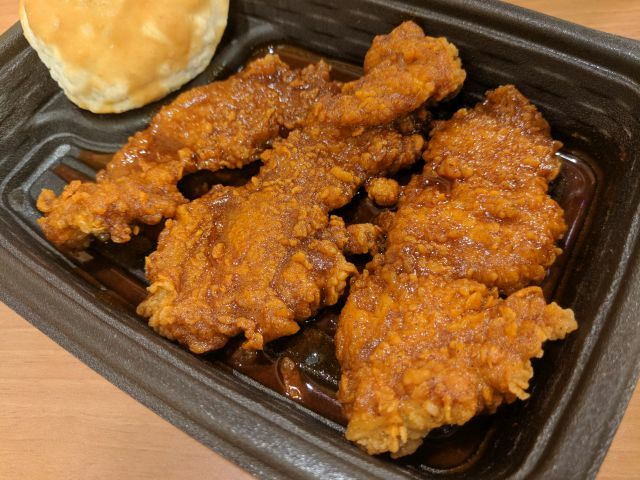 KFC's Smoky Mountain BBQ Chicken Tenders feature Extra Crispy fried chicken breast strips covered in a sweet and smoky barbecue sauce. Sonic adds soft pretzels to the menu for a limited time with the launch of the new Soft Pretzel Twist. For a limited time, Shake Shack adds the new Griddled Chick'n Club to the menu featuring a new griddled chicken breast filet. 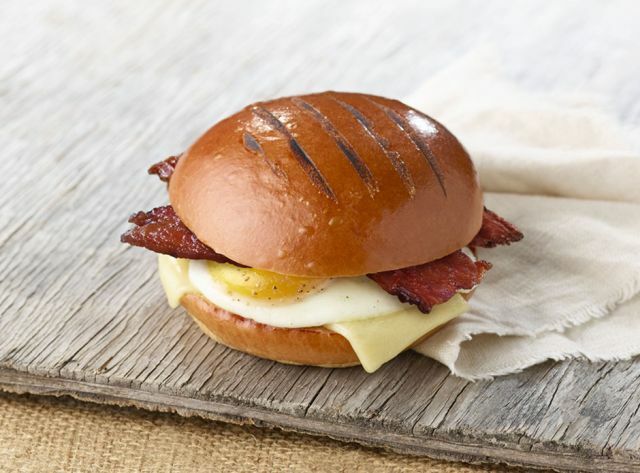 Panera Bread unveils new brioche breakfast sandwiches with over-easy eggs to start off this year. 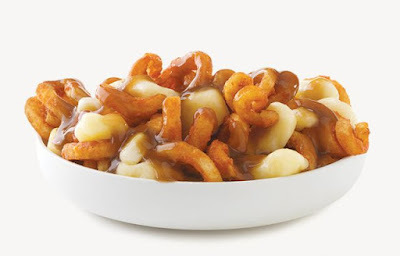 Arby's finally gives their seasoned curly fries the poutine treatment up north in Canada but only for a limited time. 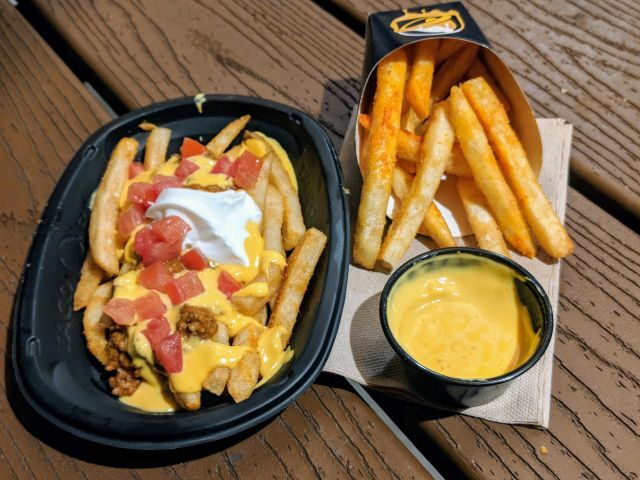 Taco Bell's Nacho Fries feature lightly battered French fries sprinkled with "bold Mexican seasoning," served with a cup of warm nacho cheese sauce for dipping. McDonald's is once again serving a trio of Big Mac options with the limited-time return of the Mac Jr. and Grand Big Mac. 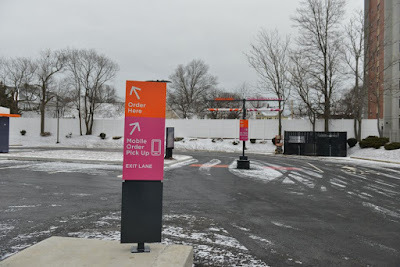 Dunkin' Donuts recently opened their "store of the future" next generation concept location in Quincy, MA, where the chain first started. Among the new features of a store is a drive-thru exclusively for mobile ordering. 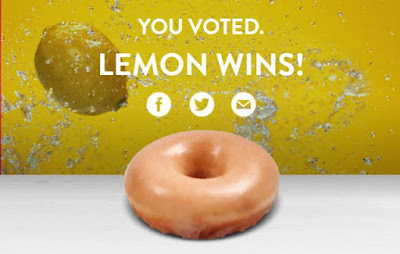 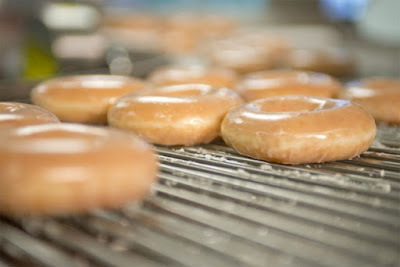 After almost two million votes were cast in a week-long span, fans in the US selected lemon as Krispy Kreme's next new Glazed Donut flavor. 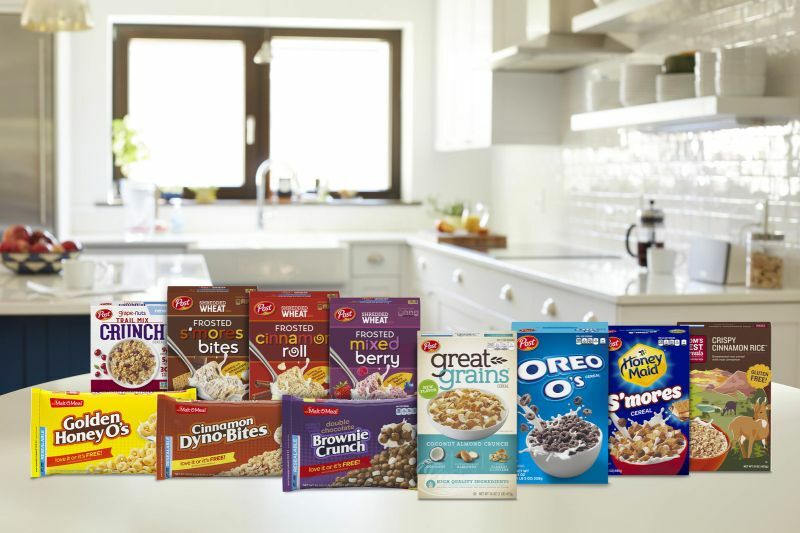 Post adds a number of new cereals to expand their selection heading into 2018. 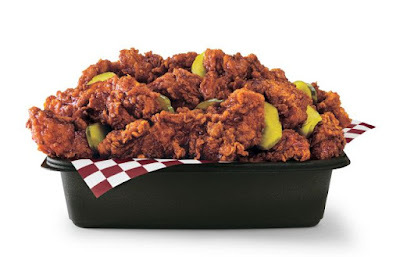 KFC debuts new Smoky Mountain BBQ fried chicken to join their Nashville Hot and Georgia Gold varieties to make up what they're now calling their "Taste of the South" line up. 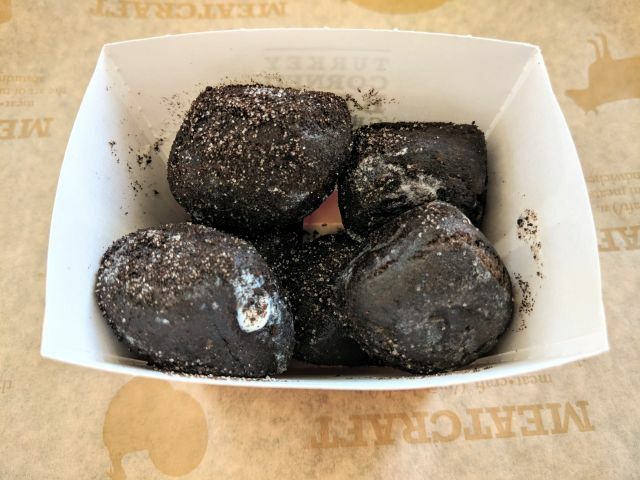 Arby's Oreo Bites feature warm chocolate donut holes baked with Oreo wafer pieces, filled with Oreo creme, and dusted with "Oreo sugar blend." 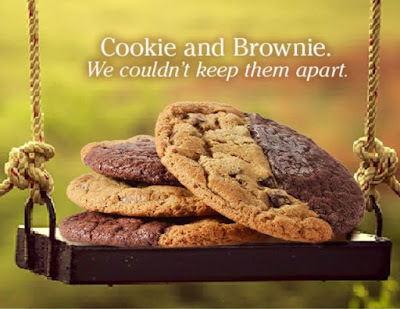 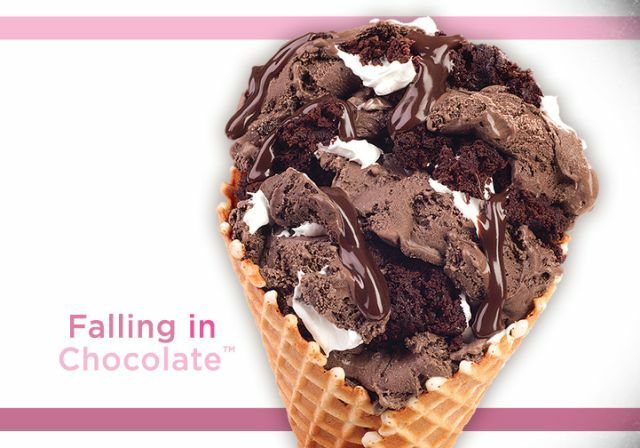 Cold Stone Creamery gears up for Valentine's Day with the return of Fudge Truffle ice cream and a number of appropriately-themed desserts. 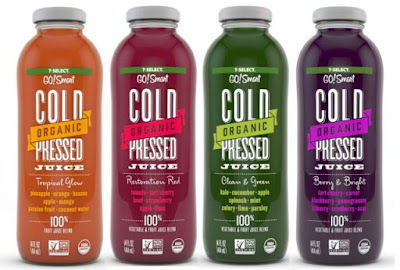 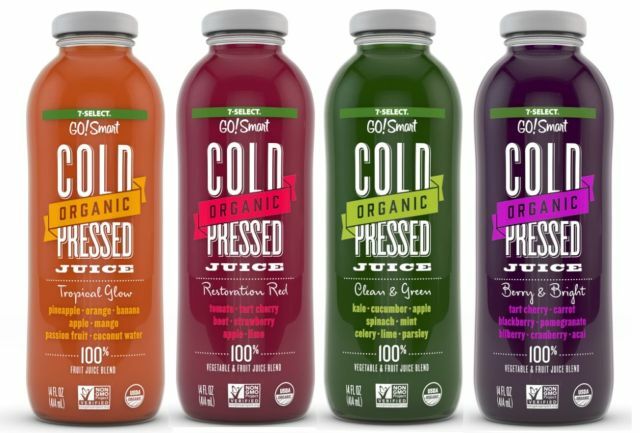 7-Eleven looks to compete with juice bars and get in on the juicing trend with the launch of new organic, cold-pressed juices to their 7-Eleven Go!Smart private brand label. 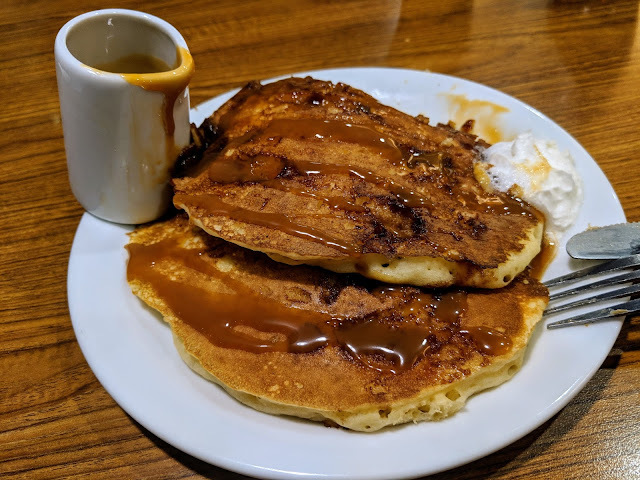 Denny's Dulce de Leche Crunch Pancakes feature buttermilk pancakes with a crunchy cinnamon crumb topping cooked in, served with whipped cream and dulce de leche-inspired caramel sauce. 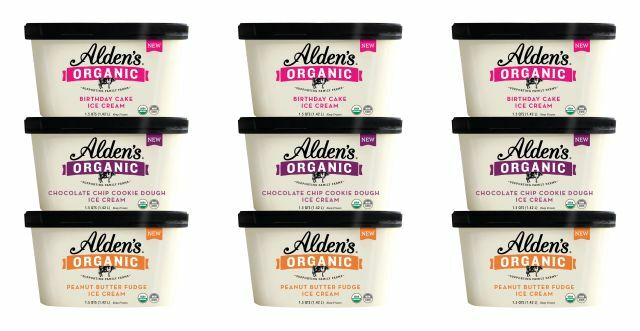 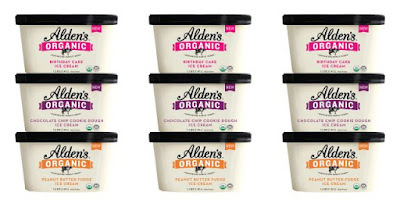 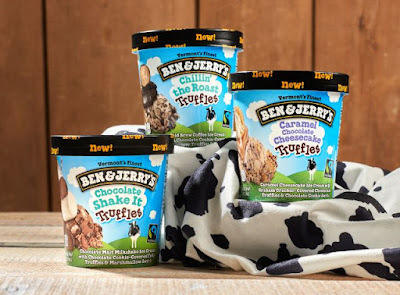 Ben & Jerry's whips up new truffle-inspired ice cream and bolsters their Pint Slices and Non-Dairy line with new flavors starting this month. 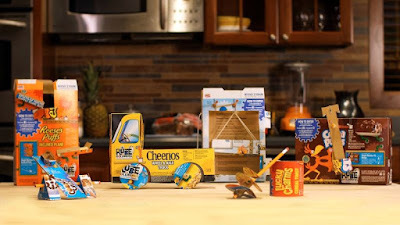 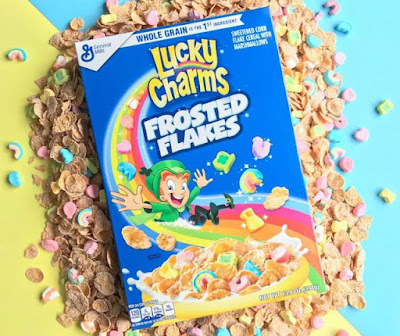 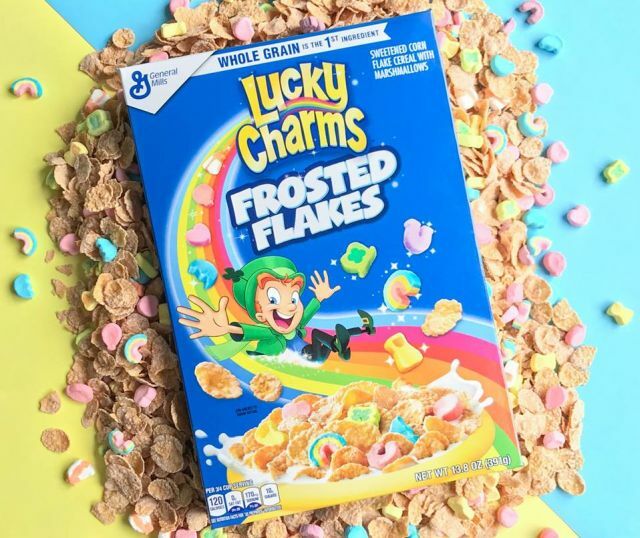 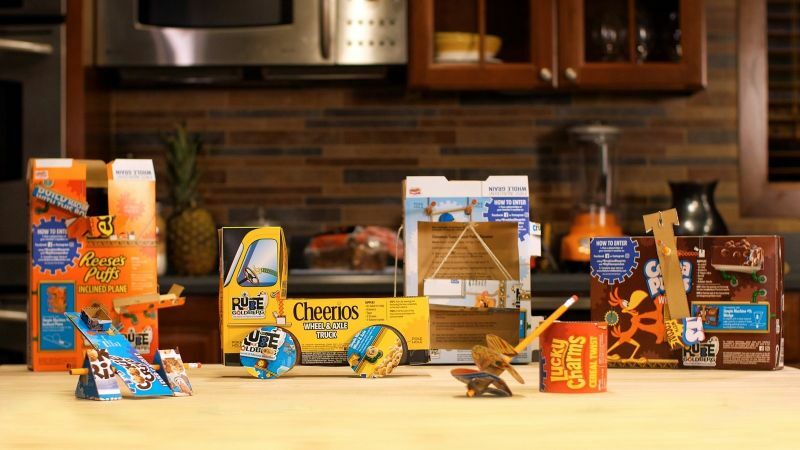 In partnership with Rube Goldberg, Inc., General Mills has put out specially-marked boxes of select cereals, including Cheerios, Cinnamon Toast Crunch, Cocoa Puffs, Cookie Crisp, Lucky Charms, and Reese's Puffs, that can be transformed into one of six Rube Goldberg-type machines. 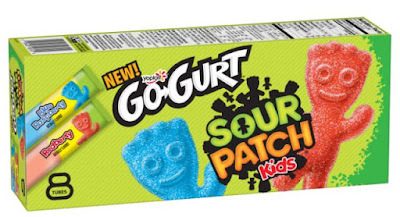 Yoplait makes sour candy-flavored yogurt with the debut of new Sour Patch Kids-flavored Go-Gurt. 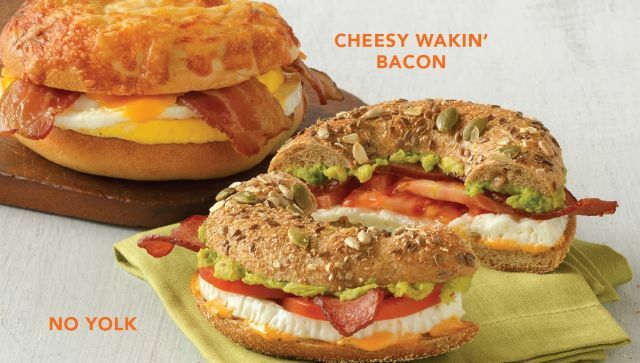 Einstein Bros. serves up two new breakfast sandwiches, the Cheesy Wakin' Bacon and No Yolk. 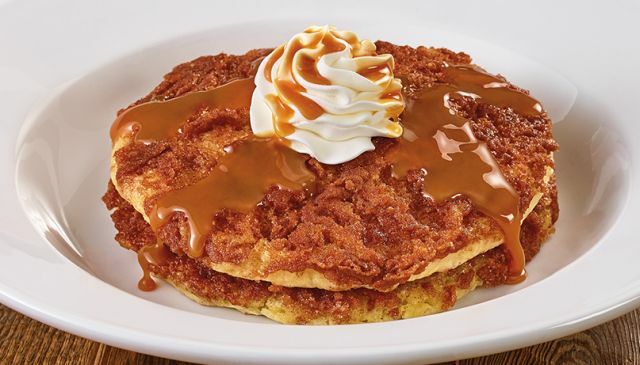 Denny's first new pancakes of 2018 are Dulce de Leche Crunch Pancakes. 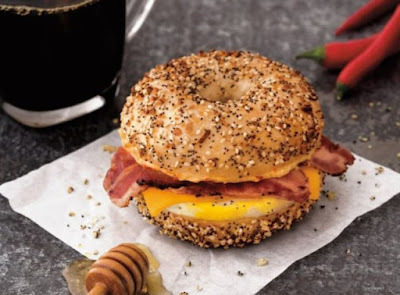 Bruegger's Bagels looks to help you warm up during the cold winter months with the release of two new sweet and spicy sandwiches: the Sriracha Honey Sunrise breakfast sandwich and the Sweet Heat Turkey Sandwich. Dunkin' Donuts is offering two limited-time deals including one where you can get a medium hot or iced latte for $2 between 2 PM and 6 PM. Krispy Kreme is letting fans decide their next new Glazed Donut flavor by way of voting. 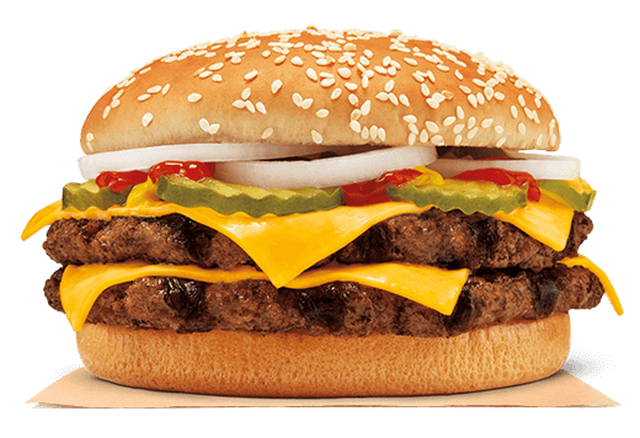 Burger King takes aim at McDonald's with the launch of the new Double Quarter Pound King burger, which is essentially their version of McDonald's Double Quarter Pounder with Cheese. 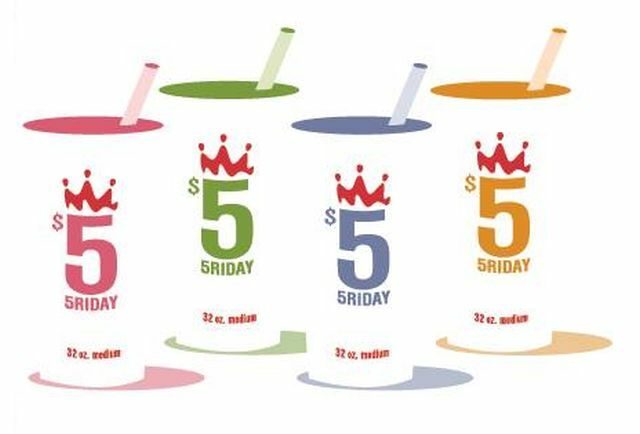 For a limited time, Arby's is offering a Mix 'N Match deal where you can get two items from several options for $5 or $6 (depending on location). 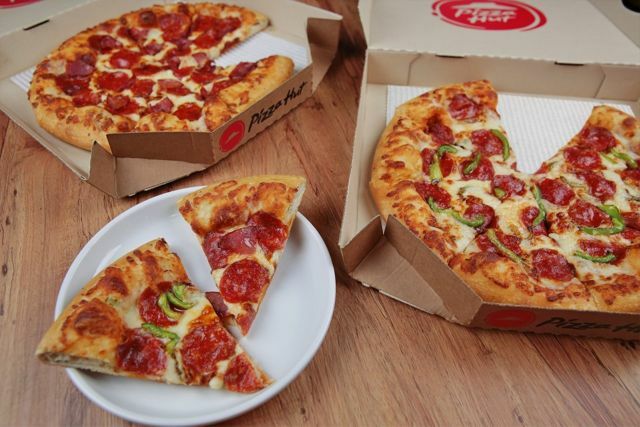 Similar to a long-running Domino's deal, Pizza Hut is now offering medium two-topping pizzas for $5.99 each when you buy two or more of them. 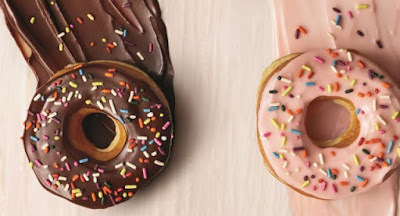 Dunkin' Donuts has removed artificial dyes from their donuts in the US as part of a larger effort to remove artificial dyes from all Dunkin' Donuts and Baskin-Robbins food and beverages in the US by the end of 2018. Magnum Ice Cream expands beyond ice cream bars with the arrival of new Magnum Tubs (i.e. 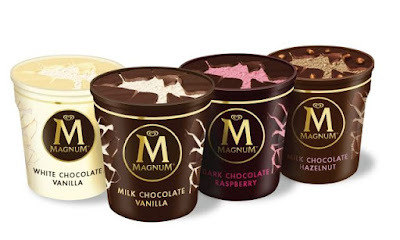 ice cream cartons). 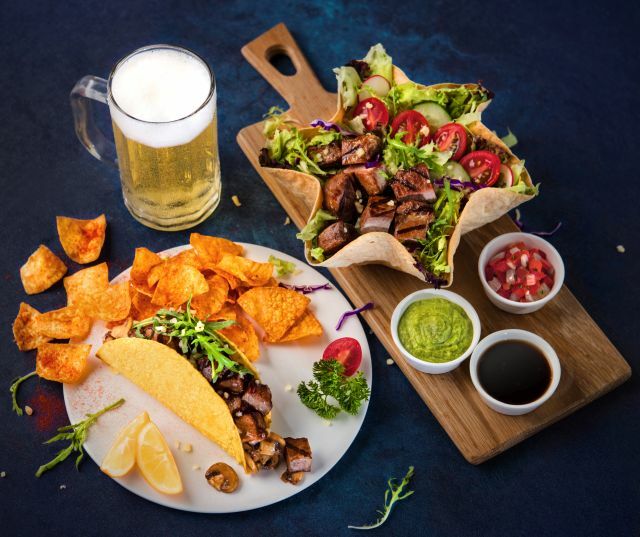 With the opening of two new restaurants in Shanghai, Taco Bell takes a decidedly more upscale approach at the new locations, including new China-exclusive dishes like Ribeye Steak & Mushroom Tacos and Beef Kebab Nachos as well as table service. 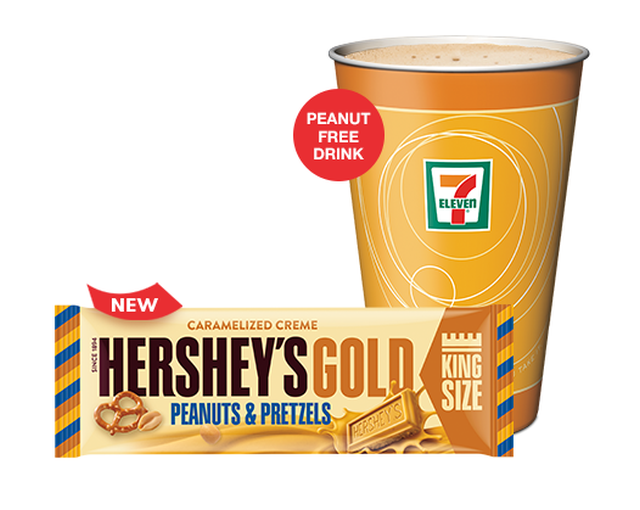 Hershey's Gold candy bars haven't been out all that long but they're already getting a drink at 7-Eleven in the new Hershey's Gold Cappuccino. 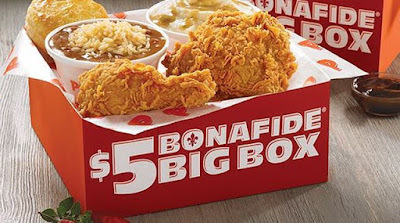 The $5 Bonafide Big Box combo is back at participating Popeyes restaurants for a brief time this month. 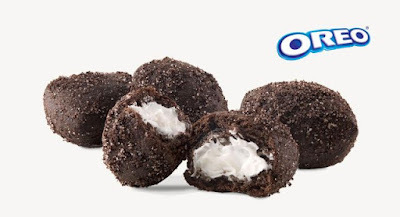 Arby's introduces a new, limited-time dessert this winter with the debut of Oreo Bites (not to be confused with Oreo Thins Bites). 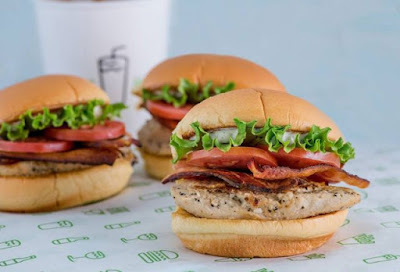 They're also once again offering Mint Chocolate Shakes. The Oreo Thins line grows with the arrival of new Fudge Dipped Oreo Thins Bites. 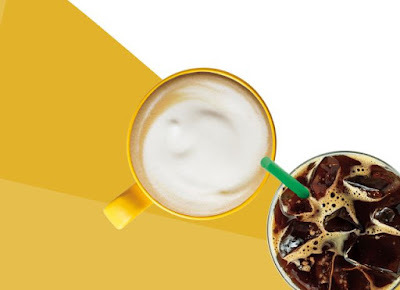 Peet's Coffee mixes turmeric with a selection of their drinks in a limited time Golden line-up. Each drink features turmeric along with ginger and honey. 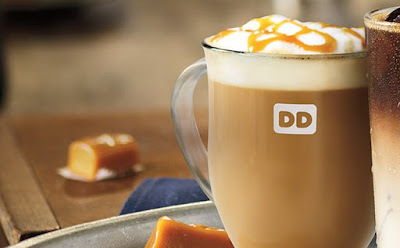 The Smoked Butterscotch Latte returns for a limited time to Starbucks to finish up the winter season at participating locations in the US and Canada. 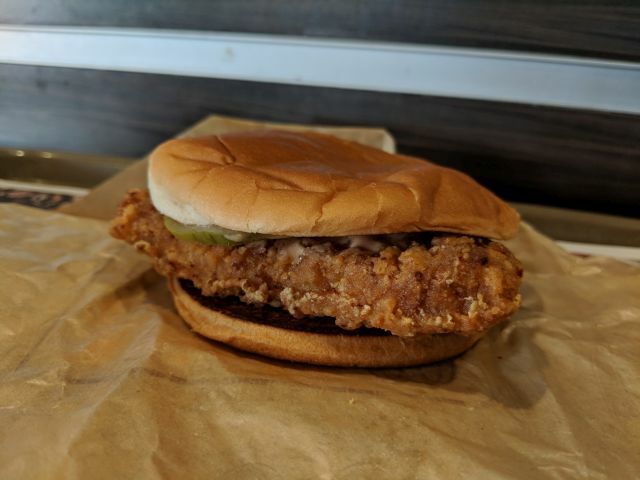 McDonald's Classic Chicken Sandwich is part of their new $1 $2 $3 Dollar Menu and features a buttermilk crispy chicken filet, Signature Sauce, and pickles on a toasted regular hamburger bun. 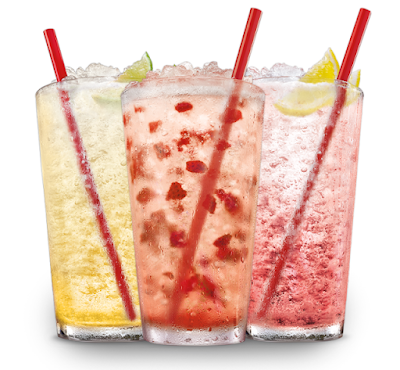 Sonic adds flavored sparkling water to their expansive drink menu with the release of new Fruit Fizzes. Dunkin' Donuts introduces the new Snow Flurries Donut as well as a number of new drinks this month. 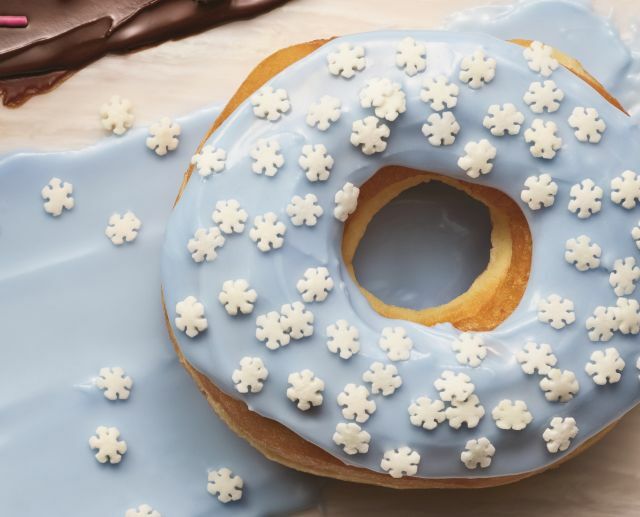 The Snow Flurries Donuts is a yeast ring donut with pale blue icing and snowflake sprinkles. 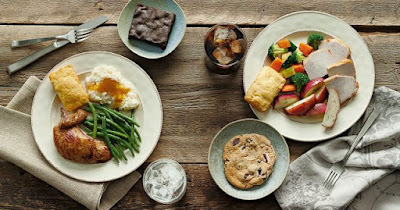 Boston Market is offering a deal where you can get two individual meals, two desserts, and two fountain drinks for $20 for a limited time at participating locations. 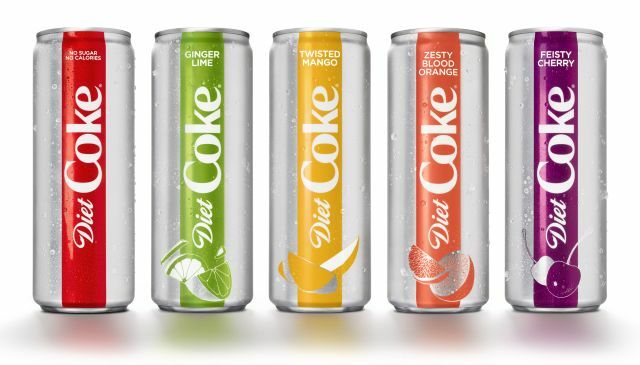 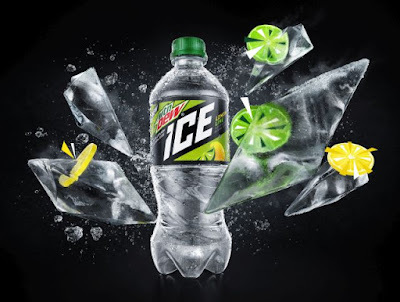 Diet Coke is getting a new look as well as four new flavors starting this month. 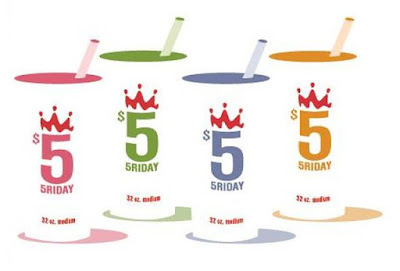 Smoothie King offers new $5 Fridays deal where you can get any medium smoothie for $5. Long known for their signature dark roast espresso, Starbucks launches a second espresso option in new Blonde Espresso. 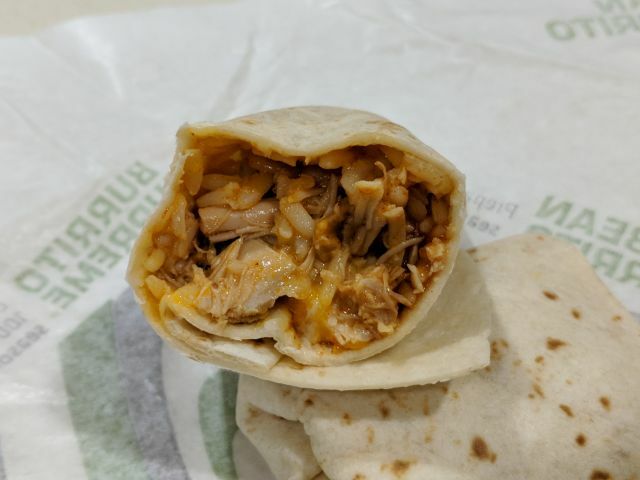 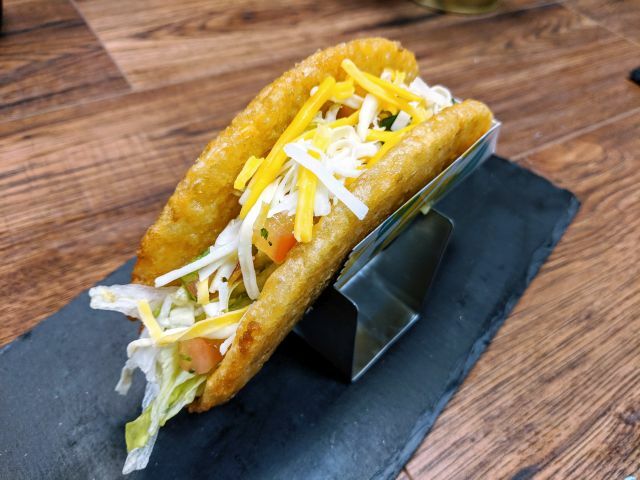 Taco Bell is testing new $1 Grande Burritos out in the Birmingham, Alabama, which isn't anywhere close to me, but I was able to try them at a recent visit to their headquarters.